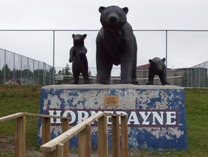 Hornepayne was founded in 1928. The town sign doesn’t announce the population. I don’t think it can be more than 500, although everything I’ve read since my visit says that it is closer to 1000. It is about an hour and a half southwest of Hearst on Highway 631. “Home of the three bears”, Hornepayne is a railway town that’s seems to be in a bit of decline now that the railway isn’t so important. Hornepayne proudly boasts having one of the last indoor roundhouses in the world. Via trains still stop here. 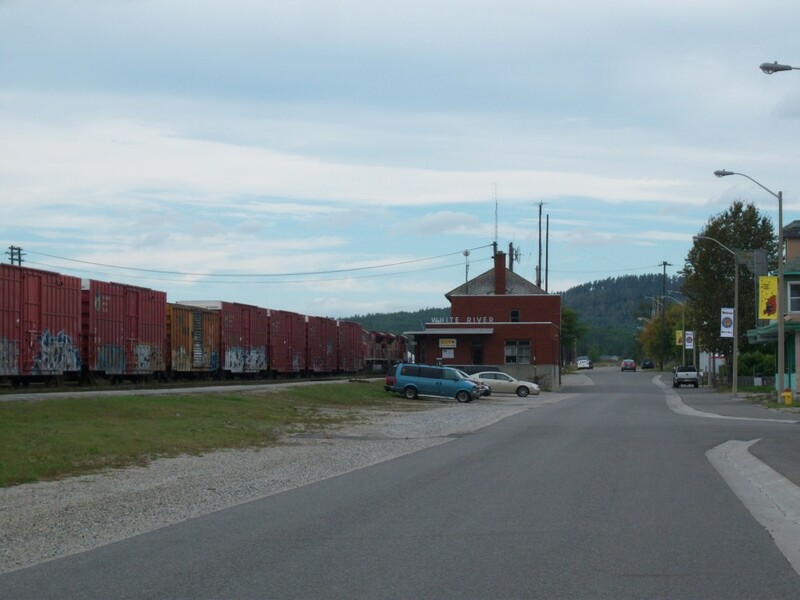 For food, there is the Packsack Deli in an old barn across from the train tracks (turn left at the three bears), as well as Virginia’s Diner which opens at 6 AM for breakfast. There’s also what they call a mall with an LCBO, a Northern Store, Craig’s Bar, and a sign advertising “Bars, Rooms, Food” so I assume there is some kind of motel inside. For shopping, there’s Cindy’s This and That and the Passtime General Store. I don’t know how much there is to do, although there is a snowmobiling club in the winter, and, of course hunting and fishing nearby. And I can’t comment much more than that. Hornepayne is pretty out of the way, so I’ve only been through it once. And that time was at 7AM on a stat holiday so it was pretty quiet. It is one of those visits where, in hindsight, I can’t believe I was willing to be so conspicuous as to take random photos of random things in a town so small and out of the way. I guess I was gutsy in the summer of 2006. If you’re stopping in Hornepayne to use a washroom, use the newer gas station south of the town. The Esso north of town is cramped, and there are few spots to safely pull over your car on the road north of town if the wilderness arouses the call of nature while you’re on your way to Hearst. 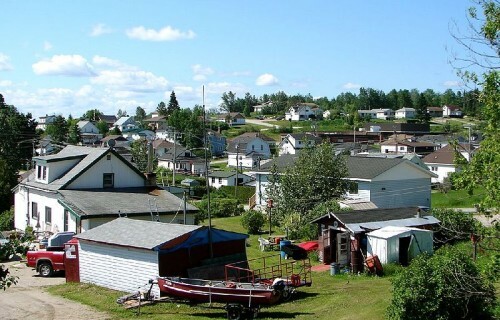 When I arrived in White River I was a little grumpy as I had been driving for ages and I had no idea how long it would take to get to Hearst from there. So ‘bear’ with me. So I thought that there were many places that claimed the Pooh but in the end it all began in White River. Hence the Winnie statue and the annual festival every third weekend in August. You can’t see it, but when I was here in 2006 someone had pout a cigarette on the top of his left ear. No joke. 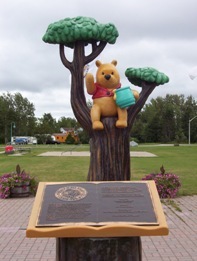 “Where it all began”, the town motto, actually stands for the story of Winnie the Pooh. 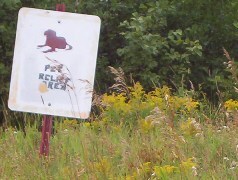 White River was the place where Canadian Armed Forces lieutenant Harry Colbourne bought a black bear cub from a hunter. Being from Winnipeg, he named it Winnie, after his hometown. To fast forward from there, he eventually went to London, the bear ended up in a zoo, some kid A.A. Milne was observing saw it, the kid liked it, the kid said the word “poo” after it, the bear got anthropomorphized and it became a huge Disney hit. OK, so I missed some steps along the way but you get the picture. 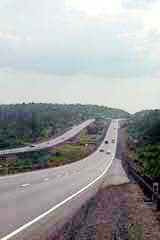 Despite only being connected to the provincial road system in 1961, there are a whole line of truckstops on the highway providing food and gas. It was in White River that I finally caved in and tried Robin’s Doughnuts. But I didn’t get a doughnut. I’d had enough along the way. I decided to be original…I got a muffin. And it was fantastic. Why doesn’t Tim Horton’s have an oatmeal chocolate chip muffin yet? On the highway there’s also a motel, and for those looking for more than a snack Tom’s Family Restaurant promises friendly service. And, if you want to venture a bit off the main road, you can enter a contest to win a free house in Manitouwadge, according to a sign about 30 kilometres west of town. I’ve only been once, but I liked White River. White River has a slightly run-down charm that I really like in small towns. 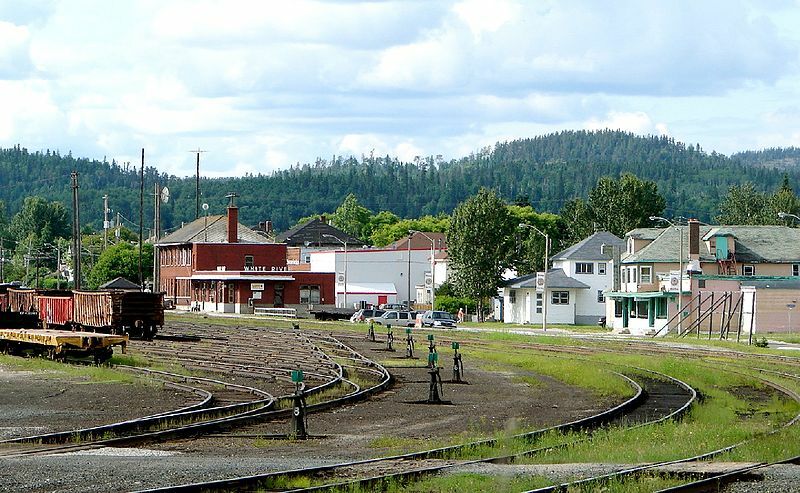 The fact that a town like this has survived this long is really impressive, in my opinion. What was also weird is that to the right of the Pooh statue, there’s a “pet relief area.” They really put aside an area 20 feet from the town’s main tourist attraction for pets to poop? That’s gross! But handy! I know they’re dedicated to poo(h) but this is too far! I have never seen a pet relief area in my life. What dog wants to wade into those long grasses? What surprises will their paws find? Hmm. I guess White River is “where it all began” for one Pooh, as well as “where it all ends” for the other poo. Would you want to risk wading into those tall grasses to take a crap? No, but I know that my dog would probably fine with it. 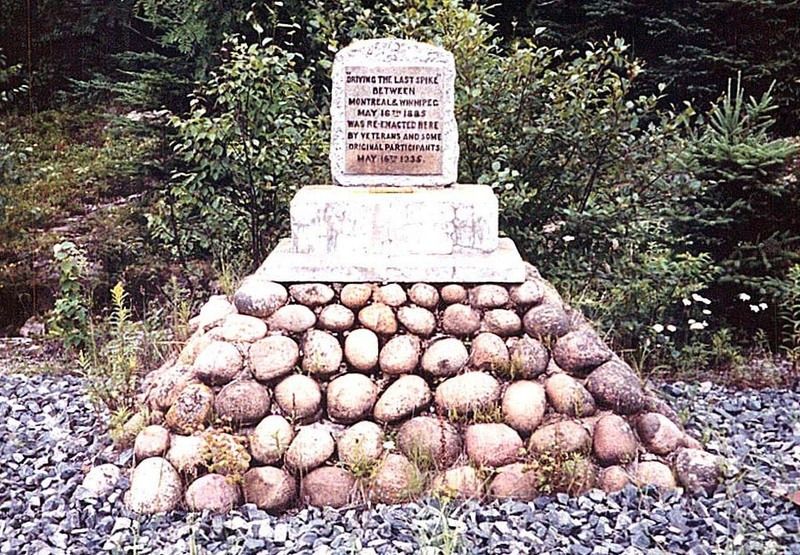 In White River, well you could visit the giant thermometer (White River has recorded the coldest temperature ever in Canada, winning it the title of “The Coolest Spot in Canada!”), you can cross country ski, visit the railcar behind the Pooh monument, go fishing or fly out to a remote lake. And of course, there’s a woodpile. Hemlo is the site of two current gold mines that support Marathon and the surrounding hamlets. Another mine used to be up and running, but shut down in 2005. I read somewhere that you can tour Hemlo Mine for free every day during the summer at 2 PM. I didn’t take any photos so if you have any, or want to add to this page, please let me know by emailing me. My address is info (at) highway11 (dot) ca. Heron Bay is a small community southeast of Marathon. You’ll have to detour south on road 627 off the TransCanada, but it is only a ten minute drive. 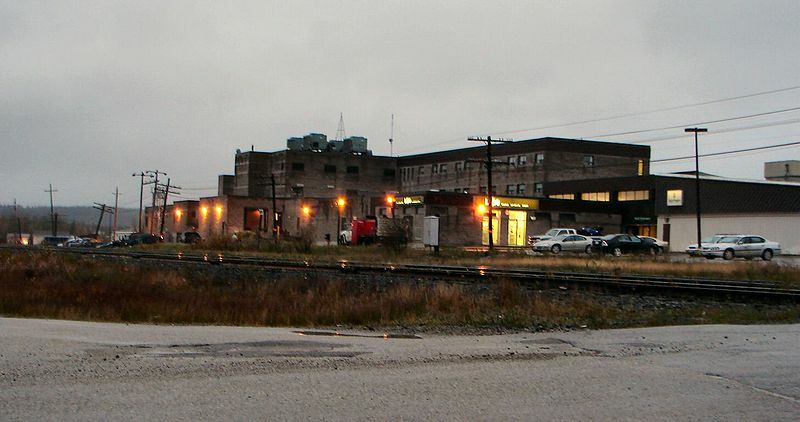 I didn’t venture onto 627 – it was raining and I had been driving for hours and had to get to Timmins by nightfall. Therefore, please send me any info or pictures you might have. Email me at info (at) highway11 (dot) ca. Jackfish is one of the many ghost towns nestled in calm obscurity in northern Ontario. 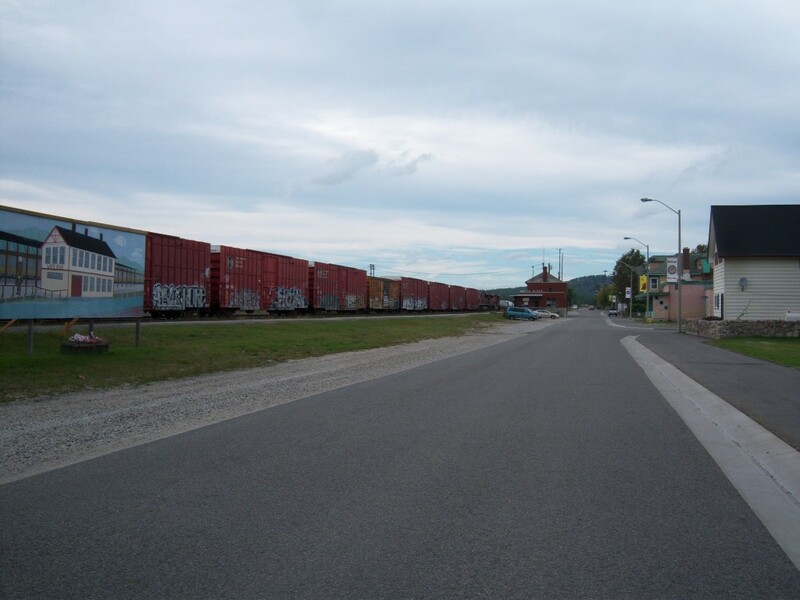 A former railway stop, Jackfish used to be a small rail depot close to Highway 17 and the north shore of Lake Superior between Terrace Bay and Marathon. The town, founded in 1881, was supported by rail, fishing, forestry, quarrying, and a noteworthy hotel that housed up to 300 men until its abandonment in 1961. 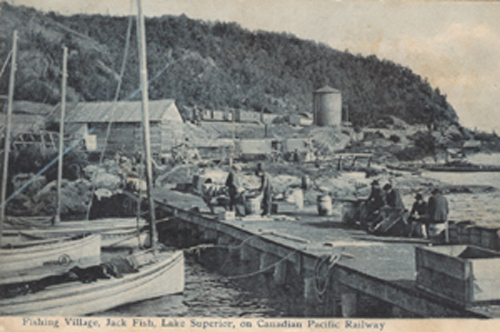 Jackfish, Ontario in 1906. Now abandoned. Jackfish was settled because it had an excellent harbour, allowing big ships to unload coal on-site for use by the railway. But the decline of steam technology led to the eventual decline of the town, which was left for good in 1961 when a papermill was built in nearby Marathon. The CPR demolished a lot of the leftover buildings, including the church, the school, and the rail depot. 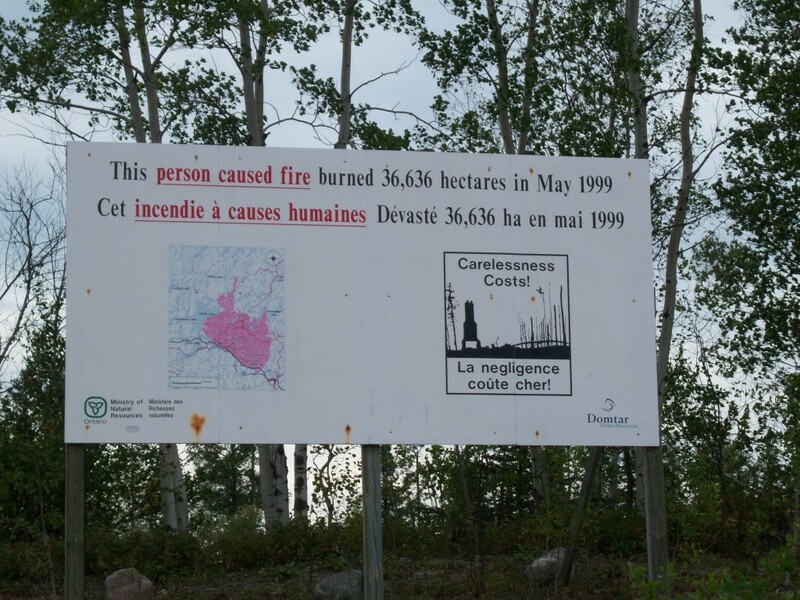 The local hotel burned down however there are some buildings standing in Jackfish that you can go see.